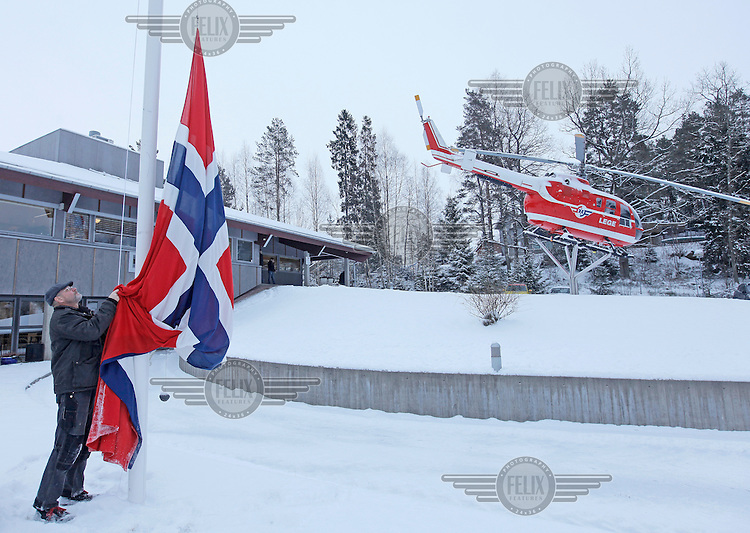 Flag being flow at half mast at Norwegian Air Ambulance headquarters following a crash where a helicopter goes down after striking power lines. It was about to land at the site of a traffic accident. The pilot and doctor were killed, while the rescue paramedic was severely injured.